Grapefruit offers more than just a tasty citrus flavor. Grapefruit is rich in natural ingredients that nourish and protect the skin, including vitamins A, C and E and antioxidants. It also boasts essential phytonutrients -- such as lycopene, beta-carotene and bioflavonoids -- that promote cellular health. Some of these benefits can be gained by topical application. An extract provides the most concentrated form of a substance. 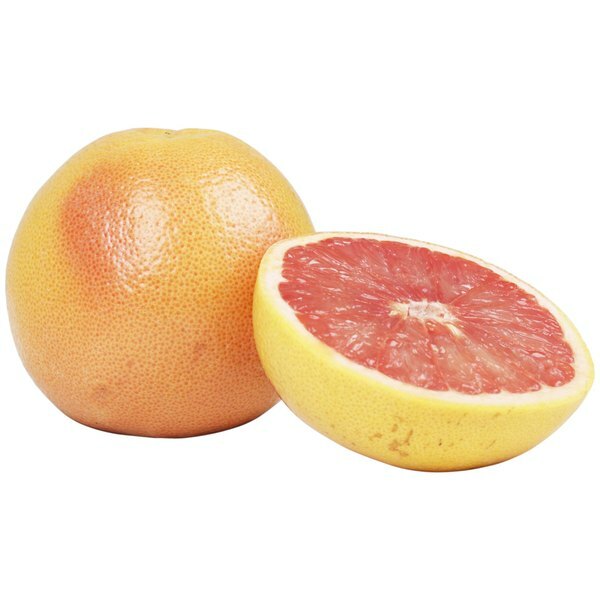 Grapefruit seed extract also has disinfectant, antiviral and antiseptic properties. Because it promotes skin health and healing, it is sometimes used in body washes, lotions and creams, and as a healing additive to foot soaks. It also is an ingredient in some shampoos and conditioners for scalp and hair health, as well as facial skincare products such as masks, cleansers and toners. Often, commercial grapefruit seed extracts contain benzethonium chloride – a manmade antimicrobial ingredient also used in some cosmetics – and chemical preservatives such as triclosan and methylparaben. These may affect the product's effectiveness or cause an allergic reaction. Check with your physician before using products that contain these ingredients. Also, avoid direct contact between the extract -- and products containing it -- and your eyes. To test for possible allergic reaction before using, apply on a small area of the skin, such as the inside of the elbow. Wait a day before using as intended.